Lots and lots of plastic bits. Lots of cards, but not too overwhelming. Try to take over a galaxy built out of hexes in a big meaty game that isn’t Eclipse, but that’s probably what most people (like me, for instance) are going to compare this to. 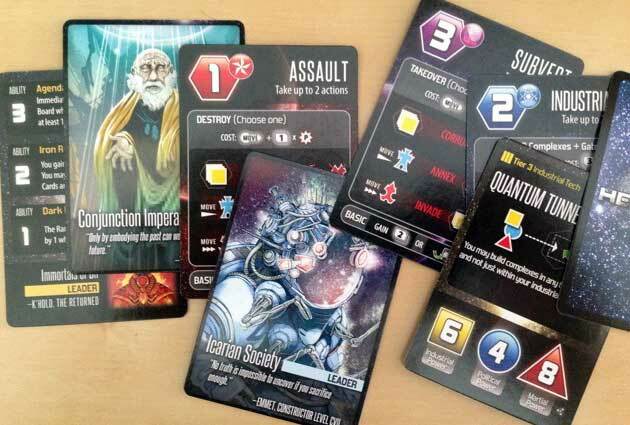 Minion Games’ Hegemonic is a 4X boardgame, which comes from the computer game world: players explore, expand, exploit, and exterminate their way to victory. (Hegemonic rebrands these to “Explore, Build, Fight, and Plot”.) 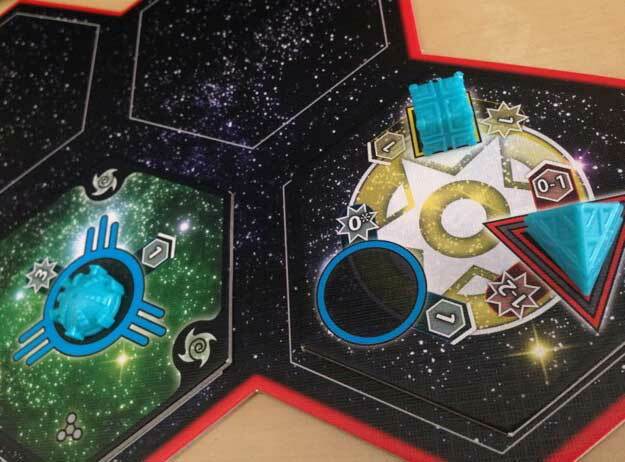 Each player is part of a faction that is expanding its influence across the galaxy: building industrial, political, and military bases in different sectors of the galaxy. Your strong level three military outpost can have its presence felt up to two sectors away, while your opponent’s industrial base can only influence neighboring tiles. The important part about Hegemonic is how conflicts between players work out. And you’re going to come into conflict. (Remember Eclipse? You can have a nice, friendly, non-conflicty game of Eclipse, and everything is good and fun. Here I suppose you could, but a game of Hegemonic Competitive Solo Fun is not as interesting as a game of Who’s More Efficient at Eclipse?) Conflict: determining the victor in any attack is based on the influence that your forces can muster. Send your secret agent in to sabotage a military base? Add 007’s power to that of all the alien embassies you have set up with Generic Green Alien Race. Does that beat the military outpost’s power and the power of any other military base that could reach it in time? You’ll need to leverage and grow your stellar empire, manipulating various bases to make your attacks on the others more powerful and defend yourself against theirs. More good stuff: The player boards provide a ton of information and have a clever way of revealing different aspects of managing your galactic empire. Hegemonic scales nicely from two players on up (and the two-player game seems more satisfying than Eclipse’s). The leader cards add flavor to your growing empire, distinguishing them and adding replayability. Deep strategy in getting that balance right in your empire. You could kill someone by dropping the box on their head (arguably “not good”). Rules for a learning game are included, and you really should play through a learning game to grasp the concepts of Hegemonic. The plastic Martial Outposts are difficult to pick up in a way that is so annoying that it is worth mentioning to prospective players. The board is ugly, which is strange because the layout of the book, player boards, and cards are really well done. The conflict system as written in the book is more complex than it is in practice. Additionally, it felt like the conflict system tried to be different based on what was attacking what, but it all still felt like the same thing wearing different clothes. Because of that last issue, I’m having a difficult time recommending Hegemonic over Eclipse. 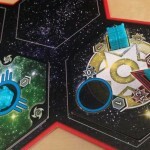 Don’t get me wrong: Hegemonic is a good game that packs in different paths to victory, but the paths feel too alike when compared to Eclipse. (Plus, I love dice and Eclipse’s tech tree/fleet building aspect more than Hegemonic’s technology system.) 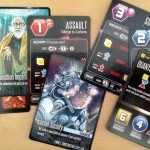 While meaty, heavy, and well done, Hegemonic won’t hit my table as often as it wants to. 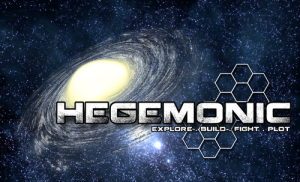 A copy of Hegemonic was provided free for review by Minion Games.